Nursing has always been associated with women, the word nursing itself is derived from the act of breastfeeding, an inherently female act. There are plenty of famous female nurses that spring to mind, many of which are household names across the world - such as Florence Nightingale and Edith Cavell. However, we feel it’s important to note that there are many male nurses throughout history that have had a long-lasting effect on nursing as well, some of which we have outlined below. Edward Lyon was not only a pivotal figure in nursing, but also in the American Armed Forces. Before the Vietnam war men were not commissioned as nurses on the frontline, Edward Lyon was the first male nurse sent out as a nurse anesthetist. At the time this was absolutely groundbreaking, and led to the profession seeing a lot more men becoming nurses within the armed forces. Joe Hogan wanted a career in nursing but the closest University that would accept him was a 147 miles away, he instead decided to apply at the Mississippi University for Women, who declined him based on his gender. Joe took the University to court claiming his equal rights had been breached, the case ended up in the U.S Supreme Court. Joe not only won the court case, granting him his wish of studying nursing, but the law was changed nationwide to help accommodate males in nursing. Commonly known for his writing and poetry, Walt Whitman was a pivotal figure of the American Civil War. Whilst working as an assistant in an Army Paymaster’s Office, he also volunteered as a nurse in his spare time, tending to the wounded. He then went on to write about his experience of war in The Great Army of the Sick and Memoranda During the War, two pieces of literature that highlighted the struggle that soldiers and healthcare workers faced during the American Civil War. Walt Whitman was incredibly ahead of his time in both his writing and his willingness to volunteer as a nurse. Facing great adversity and discrimination during his career, Luther Christman fought rigorously for men working in the nursing profession. When first starting out as a nurse he would regularly struggle to find shifts as men were generally deemed unsuitable, this led to him working a lot of night shifts in psychiatric and urology nursing vacancies. Like Joe Hogan, he was also turned down for various university programs based on his gender alone. Tired of facing discrimination, he went on to help form the National Male Nursing Association, an organisation dedicated to supporting men that choose nursing as a career. We wanted to include more male nurses on this list but there really aren’t that many to speak of, compared to the amount of famous female nurses there are. If anything this just emphasizes how pioneering some of these male nurses were, while highlighting what a shame it is that only 10% of the nursing profession is male - even if it is slowly increasing. 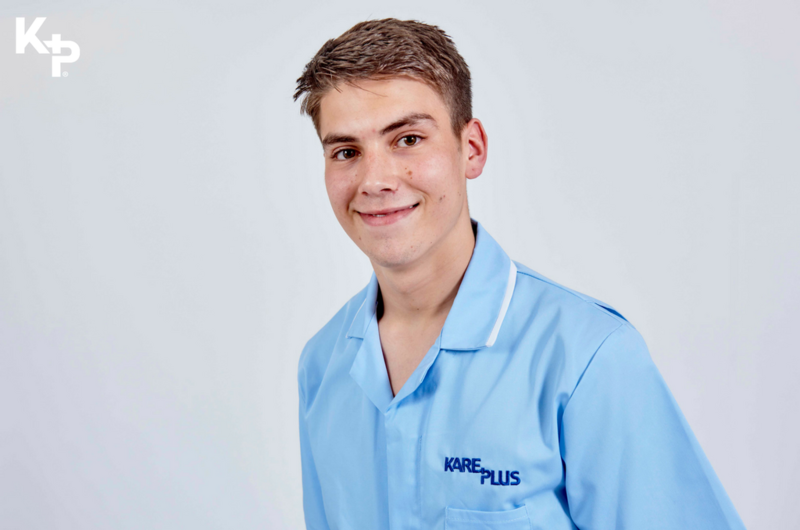 Kare Plus openly advocates the recruitment of both male and female staff for nursing and HCA jobs as our customers frequently request male staff for a variety of reasons. If you’re interested in joining the Kare Plus team, apply for a position, using our Jobs search page today! Which Kare Plus service is right for you?